Archer gets a big break when he visits Dreamland on Archer. 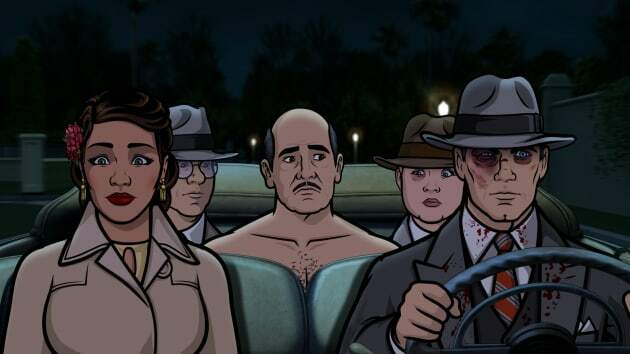 "Archer Dreamland: Auflosung" is the eighth episode of the show's eighth season. 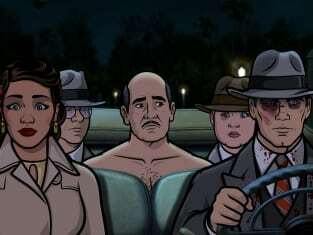 Archer Season 8 Episode 8: "Archer Dreamland: Auflosung"
Poovey: Why're you throwing ME under the bus? Trexler: I'm going to BUY a bus, then literally throw you under it, and then drive it back and forth on your face. Archer: Anybody got a joke about socks? Archer: Oh, okay, I got one. Uh, "Sock, sock?" Archer: Then you say, "Who's there." Archer: [chuckles] Okay then I guess just pout! Permalink: Okay then I guess just pout!